Along with production technology, Industry 4.0 also comprises digitally connecting components and machines. Schaeffler’s products can be found wherever something is turning and primary data can be obtained. This allows bearings to be monitored continually and their operation to be improved based on the results. The Smart EcoSystem, a digital infrastructure for new business models based on digital services that increases availability, reliability, and process quality of machines and plants. From a technical perspective, the Smart EcoSystem is structured in three levels. The lowest level, “Mechatronics”, contains what are known as smart components, including, among others, mechatronic products with additional sensor- or actuator-based functionalities. One example of this is the VarioSense, a standard ball bearing equipped with a sensor cluster for recording machine and process data such as temperature or speed. At the next level, these systems can be linked via an interface, creating what are known as “Virtual Twins”. The accompanying digital services offer a wide range of potential uses such as optimising machine utilisation. At its top level, “Applications”, the Smart EcoSystem offers the possibility to perform analyses that can be used, among other things, to make improvements and to develop new products and services. Potential uses for both internal and external customers lie in increased machine availability and productivity, reduced operating and maintenance costs, improved process stability and quality, and improved product quality. Spindle bearings with integrated sensor technology represent another successful example. Machine tool downtime is frequently the result of defective spindles. From this initial situation, Schaeffler has developed a system of sensors with the objective of preventing spindle failure. The completely new sensor system, which has been developed specifically for applications in machine tools, measures the displacement of the spindle shaft under load in high resolution and in five spatial directions. All of the software and the required algorithms are integrated into the sensor technology. In the event of a collision, the spindle is deactivated very quickly, preventing further damage to the spindle. In addition, the system allows the machine operator to detect unfavourable operating conditions in order to make targeted adjustments to the machining process. Being successful in the systems business requires competitive components and an understanding of how they interact within the system. Schaeffler is working on mechanical components, sensors, actuators, and control electronics that will increasingly be combined into integrated mechatronic systems. Examples of components equipped with sensors include the “Spindlesense” (spindle bearing equipped with sensors) and the “Durasense” (linear guidance system equipped with sensors). Mechatronic systems supply the data that forms the basis for digital services reducing the customer’s lifecycle costs. Among other things, the Industrial division has been active in the field of “condition monitoring” (ie: monitoring operating condition) for many years and additional services are being developed. Under Industry 4.0, Schaeffler relies on intelligent networks connecting product development, production, logistics, customers, and suppliers. 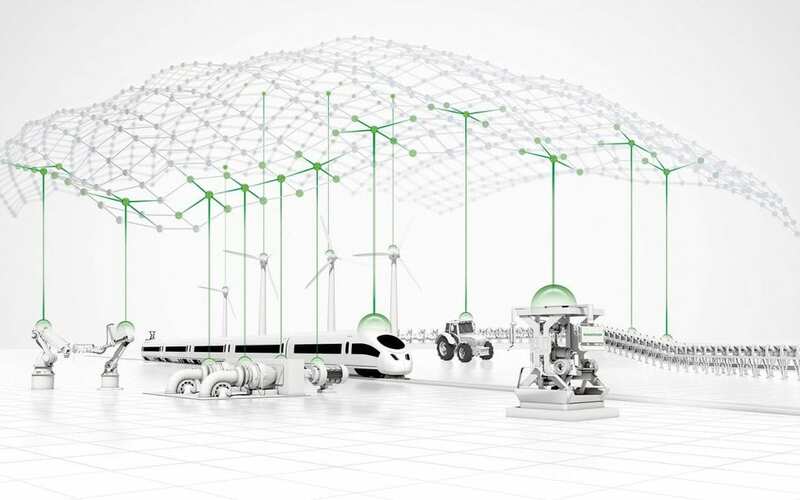 Its technological basis are intelligent, digitally linked systems that will maximise the possibilities for autonomous production and optimum plant operation in the future: People, machines, and products communicate and collaborate directly with one another. In the future, the company will utilise this expertise for internal processes and offer it to customers while maintaining its “classic” components business. The technological expertise and the know-how covering the customer’s entire system are key to achieving success with the entire range from mechanical components through to cloud-based services.